Brothers Joel and Ethan Coen share one of the biggest names in Hollywood for a good reason. They are among a select cadre of filmmakers such as Quentin Tarantino and Wes Anderson that have the ability to maintain a recognizable directorial style even as their projects jump from genre to genre. 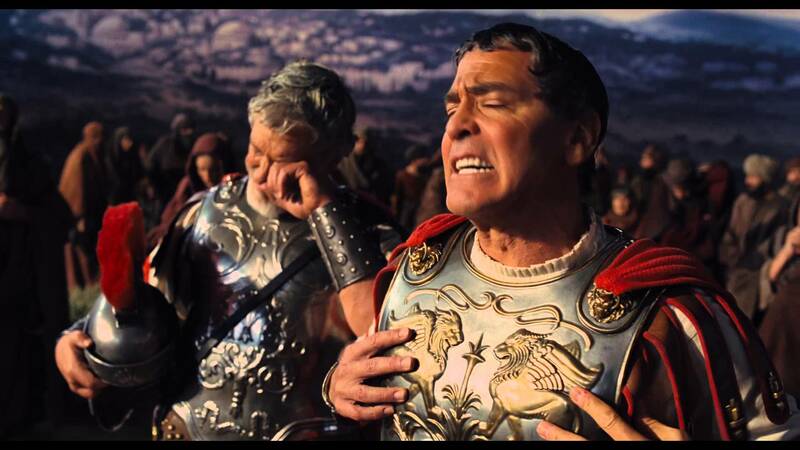 So the trailer for their new movie Hail, Caesar! had me, a Coen Bros. devotee, completely pumped. It was fast-paced, colorful, funny and the cast list was insane—how many films can you name with stars like Ralph Fiennes, Scarlett Johannson, Tilda Swinton and Channing Tatum all listed as supporting actors? I thought Caesar would have it all—a beautifully shot 1950s period piece with the Coen’s signature brand of strange characters and fast dialogue, presumably filled with an intricate storyline that couldn’t possibly be summed up in a two-minute preview. Sadly, it becomes clear fairly soon into the film that said intricate storyline doesn’t actually exist. Instead, the Coens offer up an overwhelming number of subplots that fail to come together in any sort of obvious way. The film opens with a shot of a sculpted Christ on the cross—beginning Caesar’s running theme of religion crossing paths with Hollywood. We meet our leading man, Eddie Mannix, a “fixer” at Capitol Studios (meaning he keeps actors’ scandals away from the press). He confesses to his priest that he’s been lying to his wife about trying to quit smoking cigarettes, then—for the first of many times throughout the film—checks his watch, sees that it’s 5 a.m. and goes to save an actress from an embarrassing run-in with the press. From there, the plot loosely follows the kidnapping of Baird Whitlock (George Clooney), a big-name Hollywood actor who is in the middle of filming a movie, conveniently called Hail, Caesar!, at Mannix’s studio. The kidnapping itself is a great scene (the kidnapper is played by Wayne Knight—Seinfeld’s “NEWMAN!”). Point made, I hope. Caesar has way too much going on. As a result, none of the characters or storylines receive nearly as much attention as they should—which truly blows, because they’re all hilarious and deserving of time to be fleshed out. Even more frustrating than the number of subplots we’re supposed to keep up with is the fact that each one of them is so hastily resolved. I won’t spoil the ending for you, but don’t expect some grand, Pulp Fiction-esque finale where all these pieces seamlessly come together. You’ll be as disappointed as I was. The best Coen bros. films stand out in my mind because of an unforgettable main character. Frances McDormand as a mild-mannered pregnant cop in Fargo, Jeff Bridges as a lovable stoner in The Big Lebowski and the scariest-ever movie villain with a bowl haircut played by Javier Bardem in No Country for Old Men are some of the best Coen creations that made their respective films memorable. Caesar lacks in this department. Mannix is a quiet, only occasionally interesting lead character with surprisingly little screen time. But Brolin’s performance is not at fault—his lead roles in No Country and True Grit proved he has the chops to pull off a Coen vision no problem. The issue with Mannix is simply a result of the Coens trying to juggle too many ideas at once. And the lack of development for Mannix’s character isn’t made up for with any of the other players—you get about as much information about the characters from the trailer alone as you do from the movie itself. Each of them is based on some familiar 1950s Hollywood archetype; Baird Whitlock is the buffoonish yet ruggedly handsome movie star, Burt Gurney is the Gene Kelley type with an effeminate air, DeeAnna Moran is the bombshell with an off-screen attitude. There isn’t much in the plot progression (what little there is) or even in the dialogue to take these characters out of the mold of their stereotypes. With all of that said, the movie doesn’t fall short in every respect—in fact, certain scenes are so brilliantly funny that they’re worth the price of admission. And if you’re a fan of old Hollywood screwball comedies and grandiose dramas (which the movie-within-the-movie Hail Caesar! is a great parody of), you’ll appreciate the nods to that era in this film. Some of the best bits of Caesar are the smaller details—like the feathers on Tilda Swinton’s hats that are so tall they run off-screen, and the single scene with Jonah Hill, in which he plays a “professional person” who gets celebrities out of legal trouble. Plus, any film that reminds us of George Clooney’s unexpectedly natural comedic abilities (see: O Brother, Where Art Thou?) is enough of an achievement in my mind. As uneven as the script is, Caesar is far from boring. It almost feels as if the Coens wrote a series of really great scenes and later came up with a way to piece them all together for a disjointed-but-entertaining result. This film doesn’t stand among their best works, and it’s certainly a more mainstream version of their style—but it does have some interesting things to say about the film industry, and it does so with a perfectly cast group of actors.